Weddings are fun, aren’t they? We sure think so! This past weekend we had the privilege of watching Prince Harry marry Meghan Markle. It was a royal wedding indeed! We loved watching all of the pageantry involved and the loving sentiments that were expressed during this special time in their lives. We’re so glad we got to peek in on our television, along with the rest of the world, to celebrate this joyous occasion with them! And we loved the sermon that Bishop Michael Bruce Curry gave. We remarked that we would enjoy hearing him again. He gave a very passionate address. It’s one that every person alive should follow. However, we were disappointed that Bishop Curry chose to give it on this particular occasion. It was more of a general sermon on love, rather than a message centering on the specifics of marital love. The Bishop didn’t make it personal to Prince Harry and Meghan and the journey their love would take them after marrying. Plus, he didn’t give them any marriage advice that could help them after they said, “I do.” We kept waiting for him to make those points. There were a lot of other people who were watching who also could have benefitted from hearing such advice. Sadly, these important points are left out of too many wedding ceremonies—royal weddings, and otherwise. Actually, every one of us who plans a wedding, considers ours to be a royal wedding. This is one day of our lives where the bride gets to be a princess marrying her prince. It’s a beautiful, sacred occasion. But we best not forget the more important part in all of this. After the wedding the marriage begins. Beyond this one-day fun event, we pledge to love each other for the rest of our lives. The wedding is just the beginning step into living out their love for each other. So what are some things we would tell the bride and groom if we would be given that privilege? 1st… On your wedding day you need to know that you are making promises to each other, but also to God. “This is recognition of the fact that you are not going to be just ‘living together,’ but that you are entering into a contract—a covenant relationship. Those in the days of Malachi forgot that the Lord had been a ‘witness between you and the wife of your youth, with whom you have dealt treacherously. Yet she is your companion and your wife by covenant‘ (Malachi 2:14). 2nd… If you aren’t willing to grow up and work on approaching marriage in mature ways, don’t get married. Marriage is for grown-ups, not for children. We’re given a great example to live out our love in the Bible in 1 Corinthians 13:11. “When I was a child, I talked like a child, I thought like a child, I reasoned like a child. But when I became an adult, I set aside childish ways…” When you marry, show your love to your spouse; go and do likewise. 3rd… Make sure you are committed to be faithful to your spouse FOR THE REST OF YOUR LIFE! No excuses are acceptable). If you aren’t willing to commit to this, then stay single. You are to ONLY date your spouse after you marry. Sadly, many, many, many spouses start dating others shortly after they marry. (Prince Harry saw this happen with his own parents.) Whatever you do, don’t marry if you aren’t strong enough in character to stay faithful to your spouse only. As Pastor Ed Young puts it: “One of the Ten Commandments of Marriage should be, ‘Thou Shalt Flee Sexual Temptation—Online and Otherwise.’” You promise in your wedding vows to be totally faithful to your future spouse. If you aren’t willing to do so, then don’t get married. 4th… Being married should change the priority of how you conduct your life. Sure, we can have our own interests, and such. But once you marry, your interests should not cause division in the “we” part of your marriage relationship. You need to make some changes, when it’s necessary. Read 1 Corinthians 7 to see what God says about this. Basically He says the same thing we’re saying. Don’t marry if you want to do your own thing. When you marry you are vowing to “from this day forward” to “think together.” You may not always think alike, but you will do what you can to “think together” for the sake of your marriage relationship. 5th… There is a reason why marriage starts in front of an altar. There will be sacrifices involved. “I think that is why marriage vows are spoken in front of the altar. The altar was a place of death and sacrifice in the Old Testament. Marriage involves much of the same; self-death, self-sacrifice. But for God’s people, the altar also symbolized hope and right relationship with God. Through death was a chance for life. The altar, and the sacrifices offered upon it, became the pre-cursor to the gospel and the life, death, and resurrection of Jesus. He became the perfect sacrifice, offered once and completely, securing the way for God’s people to have right relationship with him—the chance for God’s people to have true, abundant life. If you aren’t willing to make deep sacrifices to love, honor, and show that you cherish your spouse, don’t get married. The rewards are great, but so are the sacrifices. If you are already had your royal wedding, this can still be your goal. Pray for it and do your part in growing it to be true in your marriage. Today can be a new beginning as you put your hand into God’s to see where you and He can go in growing your marriage to be the best it can be. Remember that your royal wedding ushers you into a sacred covenant marriage relationship. Treat it as such. It’s a huge commitment. But God is right behind you in wanting to help you to do so. May God bless you as you lean upon the Lord to teach you how to love one another. As a former JW I saw where that organisation required that premarital couples were barred from each others company unless they had someone along playing guard on them. My thoughts are if a couple have no control at intimate matters they will most likely have no control at financial and will buy themselves into financial trouble. Such encouraging words, the greatest command given is that we love one another as Christ has loved us. We know love because He first loved us. Thank you. Love the preacher… love the message. Steve and I would enjoy hearing more of him. He was dynamic and engaging. But we didn’t think the entirety of this particular message was as personal towards their getting married as it should have been. Our son and daughter-in-law, who were with us at the time watching the wedding, felt the same way. Preaching about general love is great… it is SO needed in this world. But marital love is what this wedding is all about. He could have taken at least part of his time in speaking to this couple and the watching world, and narrowed it down to what marital love is going to demand from them. That’s the event that they gathered together to focus on. Again, we loved the preacher. But we’re just saying that he could have spent more of his time in talking about marital love and the marriage that they would be entering into so it would have been more personal and relevant to the event. Some of this should be said in pre-marital counseling, but some of it should also be said at the ceremony to the couple and all who gather to witness this important event. I hope you understand what we’re saying here. We need to better prepare couples for what marriage is all about so perhaps we can see more of them keep their vows “until death do us part” as they promise each other and God on their wedding day. I am one of the “others who feel the same way” and while I honor and appreciate the additional explanation offered here, my question remains and I still do not understand the perspective of criticism. Preparing for a good marriage must start well ahead of the wedding day. I am curious to know what % of couples you think establish their marital success on the single wedding sermon. What % actually listen enough to remember it? If marital performance were based on that single sermon, why do we invest so much time and energy on premarital preparation… why do we not, perhaps, dedicate 6 hours of the wedding day for the couple to drink from the preacher’s sermon hydrant? I do disagree with your picture of this minister for many reasons. My personal impact story – the best of love sermons may never save a marriage, but the breadth of God in the most mediocre sermon, can save a home. I got on YouTube just in time to hear the sermon in question. Pst. Curry’s rendition of SOS 8:7 read to me like I’d never heard it before. The spirit of God in those words softened my deeply hurting heart and helped me to forgive a 3-week old grievance against my spouse. Dear Mrs Nelson, I appreciate your input and I agree with you on most of what you said. However, you ask what per cent of couples “establish their marital success on the single wedding sermon.” Very, very few, I’m sure. It’s a matter of piling precept upon precept as the Bible talks about. What you say at the wedding is like icing on the cake. You remind them of a few important points that you discussed in the premarital talks (although I’m not sure that this couple had premarital sessions with the preacher, so this may have been the only time they would hear some of what could be said). But then you give a few additional key points… making it short, but sweet. This is not only for the couple before you, but for others who are in attendance. We always recommend that the couple make a copy of their vows and perhaps a few good pieces of advice that the pastor gives. After the wedding, frame them and put them in a location where they will see what they promised from time to time. Anniversaries are a good time to look at them again and reaffirm what you have promised. But at this wedding there was NO personal reference to marital love and the marital journey they would travel together. I’m just saying… and this is my personal opinion, and the opinion of Steve and our son and daughter-in-law… that this would have been a GREAT time to give at least a few golden nuggets concerning this matter. Premarital counseling would be the best place for the majority of this type of talk, but the wedding is a place where you wrap it up. This way the couple cannot say they weren’t warned. Other witnesses at the wedding can affirm that as well. We hold the same opinion and do the same thing. We encourage people to pray about the above information. Ask God to show you how you can be an encourager to those who are married. And then help those who need it. It’s a matter of getting outside of our comfort zone. You are not condemning them. Instead, you are confronting and giving help, when needed. (We have a lot of tools on this web site that can help. Pray and ask for God to guide you in this mission.) I realize with this wedding, there are many “casual” friends in attendance. They won’t all feel they would do what we do. But I’m just stating how we believe it should be with the weddings we attend in our “normal” world. As for my picture of the minister of this wedding, we will just leave it as I stated. I agree with your opinion, but I will let my statement stand for differing reasons that I don’t want to go into here. I appreciate your sharing what you did and agree that weddings should have this emphasis. 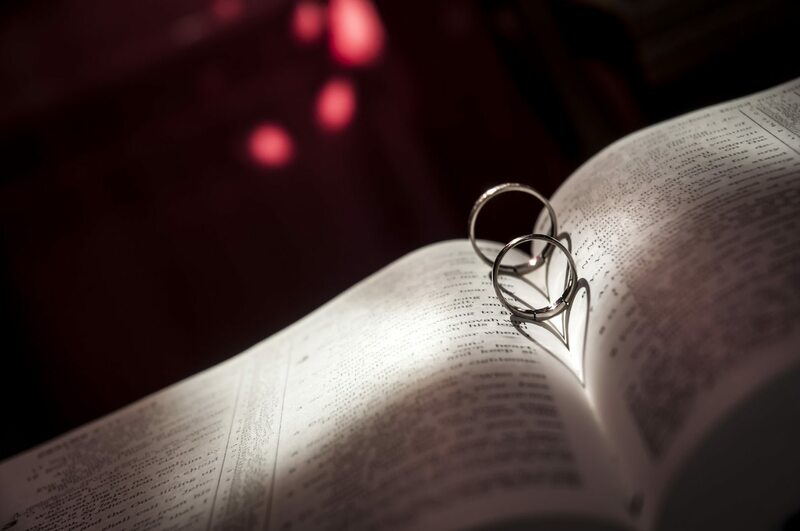 After all, marriage is more about God, than it is about the couple who are marrying. I just think that this wedding message could have been personalized more, and some marriage tips given for their sake and the sake of others in attendance (plus for the 29.2 million Americans who were watching) … that’s all. We need to be more pro-active in helping marriages be all God wants them to be. Those few points would have helped. (We would do more… but that’s our conviction, not necessarily what others would do.) Thanks again, Mrs Nelson, you make some good points.